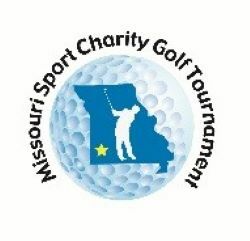 The Missouri Sports Charity Golf Tournament Entry Form HERE! 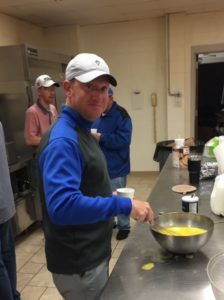 Co-Chairmen Darrell Waggoner and Kevin Rhinehart put in many hours all year round to make this event successful. The event is already 95% full. 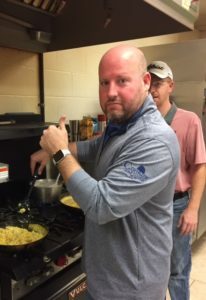 This event has everything a great event delivers… good prizes, good food, loads of fun, great friends and wonderful charitable contributions! Carthage Golf Course is proud to host this event with Darrell and Kevin. They do a wonderful job and they enjoy doing it. Spend a few minutes with them and their enthusiasm for the event will jump out at you. 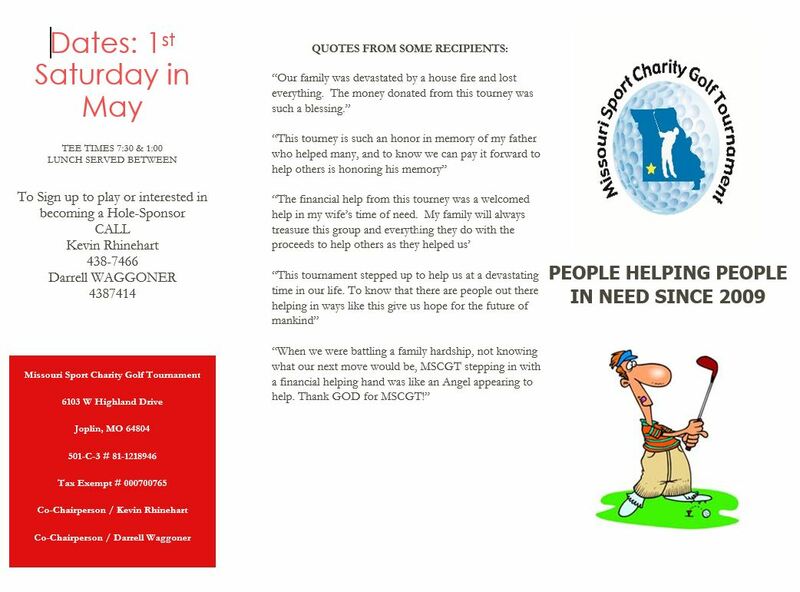 If you can’t play in the event please consider a contribution to the event to benefit their charities. 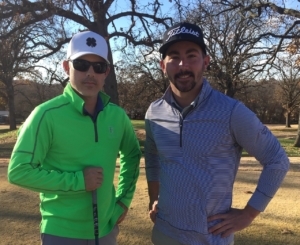 https://www.carthagegolfcourse.com/wp-content/uploads/2019/03/Missouri-Sports-Charity-2.jpg 241 250 Carthage Golf Course https://www.carthagegolfcourse.com/wp-content/uploads/2016/12/Carthage-Golf-Course-logo-300x162.png Carthage Golf Course2019-03-31 08:00:242019-03-31 18:10:38Missouri Sports Charity Golf Tournament May 4th! Welcome to the Carthage Golf Course Titleist Loyalty Rewarded Pro Shop! 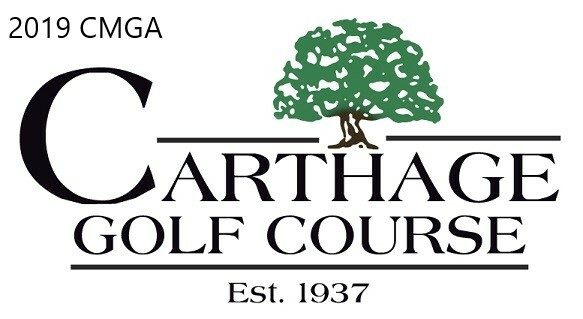 The golf staff and I are extremely excited to welcome you back to Carthage Golf Course for the 2019 golf season. 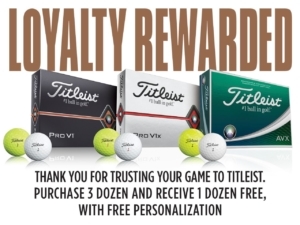 To get your season off to a proper start, we have partnered with Titleist to offer the Loyalty Rewarded Program. This program is only available from 3/22 until 4/22 2019. Take advantage Now! All golf balls must be personalized. 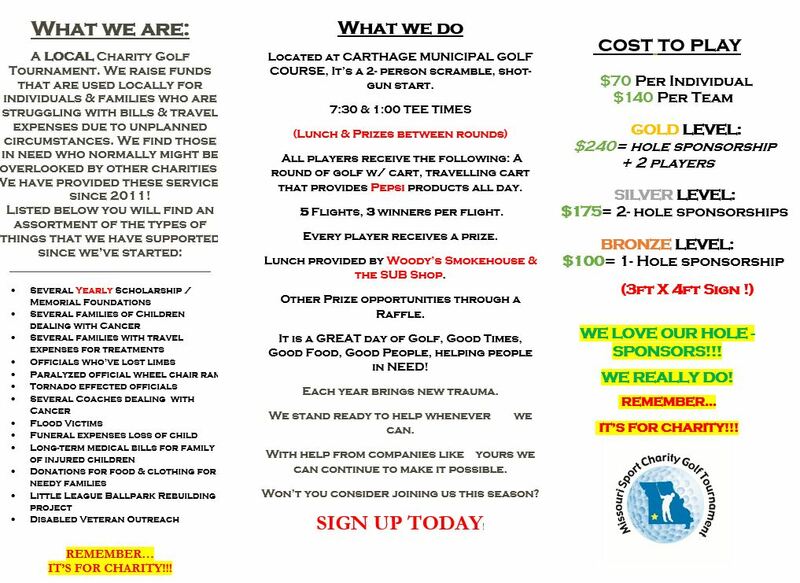 Thank you as always for your support and we look forward to another outstanding season at Carthage Golf Course! Enter the Carthage Golf Course Titleist Loyalty Rewarded Pro Shop HERE!